Since the passage of the Unlawful Internet Gambling Enforcement Act of 2006, politics and poker have become inextricably intertwined, far beyond the imagination of legendary New York Mayor Fiorello LaGuardia, in the 1959 Broadway musical. Fiorello’s song of politics and poker is fitting background music for Congresswoman Shelley Berkley. She is the Southern Nevada Congresswoman who is center stage as the entire gaming industry grapples with the impact of the Unlawful Internet Gambling Enforcement Act of 2006. The UIGEA passed late last year attempts to end online betting by American-based players; Shelley Berkley’s district is filled with brick and mortar casinos and online gamers. She is as outraged by the passage of the legislation as are her diverse constituents within the gaming industry. She has her hands full. It didn’t take long after the passage of UIGEA for Congresswoman Berkley to understand the difference in the agendas of two distinctly different groups. For the online operators, UIGEA poses immediate economic threats. They seek immediate relief with a bill that provides a poker carve-out from the UIGEA. For the commercial gaming industry, the ramifications of UIGEA are longer term,as the brick and mortar companies evaluate future business plans for online gaming as part of their portfolios. Commercial casino kings seek a bill to study online gaming, with a view toward legalization –against a backdrop of well-thought out regulation. Two weeks ago, Shelley Berkley, who is poised to introduce the study bill, sent invitations to representatives of online gaming companies and commercial gaming corporations to meet with her in Las Vegas on her home turf. Terry Lanni, MGM’s Chairman of the Board, and Immediate Past Chairman of the American Gaming Association has been a particularly visible player in the online gaming debate and a supporter of the Congresswoman; online honchos have been anxious to get his ear. But he was among those who were absent for the meeting. He explained that scheduled travels precluded his attendance. Ms. Berkley’s plans for legislative reform in response to the UIGEA would be easier if the brick and mortar casinos and the online gambling operators would work toward pushing one piece of legislation together rather than going off in independent directions. As we go to press, the odds of marrying their interests leave an opportunity for improvement. The long-established American Gaming Association (AGA) represents the commercial casinos’ interests. The nascent Poker Players Alliance (PPA), reports an estimated three hundred thousand .members and hopes of attracting upwards of a million over the next months. The PPA holds itself out as the voice of online gaming interests with former Senator Alfonse D’Amato reportedly earning big bucks to act as the spokesman for the group. Ms. Berkley speaks of her affection for both segments of the industry. She is hopeful that they will find common ground in the battle to free the entire gaming industry from the shackles of the recently enacted UIGEA. Shortly after the passage of the UIGEA, my longtime friend Terry Lanni chatted with me about the problems that are created as a result of the ACT, not to mention the “ridiculous” events surrounding its unexpected passage. Just who is Shelley Berkley? A daughter of immigrants, Shelly Berkley was born in New York City. She was raised in Nevada where her father worked as a waiter, determined to make good. Young Shelley was the first in the family to go to college. She earned her BA degree from the University of Nevada and a JD from the University of San Diego, defraying the costs of her higher education with a waitress job at the Sands Hotel. She always knew she wanted to be in public service. 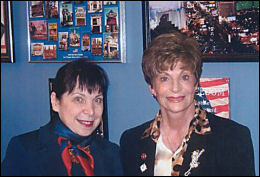 She was elected to the Nevada State Assembly in 1982. Ms. Berkley later returned to the private sector, going back to her roots at the Sands. She moved up the ladder from her stints as a cocktail waitress and keno runner to become Vice President of Government and Legal Affairs for the casino. She earned more stripes as Chair of the Nevada Hotel and Motel Association. In 1999 she was elected to Congress, and has been re-elected ever since. Congresswoman Berkley is outspoken about the travesty of the passage of the UIGEA bill. She is dedicated to her constituents, defending both commercial gaming interests, and her “poker guys,” in their efforts to attack the constraints that have been placed on the online gaming market. It wasn’t long before AGA president, Frank Fahrenkopf Jr., took PPA president Michael Bolcerek, to task, saying, “No way in hell” to such an idea. He set the facts straight as he saw them. His casino kings were committed to a different bill that will study internet gambling issues. Shelly Berkley acknowledges she made a commitment to the AGA last spring to carry this water up Capitol Hill. She makes herself crystal clear; she has no intention of muddying the water. MGM/Mirage CEO and AGA’s immediate past chairman (2005-2006) Terry Lanni confirms his continued support for the study bill and for his longtime mantra on internet gambling: license, tax, and regulate. AGA members appreciate having Shelly Berkley in their corner. In February, Terry Lanni hosted a fundraiser for the Congresswoman at the MGM “Mansion.” A few days later he told me cheerfully that more than $300,000 had been raised for her coffers. He said it was a tribute to the popularity and respect she has earned. Terry says he has gotten to know his Congresswoman friend over some twenty years. I wanted to get to know her too. I called Ms. Berkley, asking for a meeting in Washington as part of my research, both to educate my company’s gaming clients as well as for this story. I was a bit afraid my previously publicized affiliations with America’s Mayor and a Republican Governor might turn her off. I secured an appointment easily when I told her that our mutual friend Terry Lanni called her his favorite Democrat, and I was confident she would become my favorite Democrat, too. While Congresswoman Berkley appeared to be caught between the conflicting positions of the AGA and the PPA, she emphasized this was never the case. The Congresswoman is as incensed as anyone over the enactment of UIGEA. She is sensitive to the potential economic disaster that could befall the online gaming community, noting that many online operators cannot survive the loss of business that a years-long wait would cause. With that said, however, she advises me her longstanding commitment to her commercial gaming constituents will soon see fruit with a “study bill” introduced through her office. Current plans call for it to be referred to the Judiciary Committee and perhaps others. While internet gambling companies thirst for an immediate remedy to UIGEA, the savvy Congresswoman slows down the pace, indicating the need for long term organized efforts will have the best chance of overturning the UIGEA of 2006. She offers up the idea that more progress, and a more expeditious resolution is in the reach of the entire gaming industry if the different segments find ways to work more closely together. Will the commercial gaming industry kings now begin to refer to internet gambling sites as online gaming operations? Next post: CAN D’AMATO SAVE ONLINE POKER?